I am a novice in this business... please help me, what is an ABO? This medal is named the Anglo-Boer War Medal in its English translation, and Anglo-Boere Oorlog Medalje in Dutch/Afrilkaans. Just as the British medals for this war are abbreviated to QSA and KSA, this one is the ABO. Thank you for the information... much appreciated. What I would actually like to discover is how, and when he got here from England. According to the death notice he was 29 when he was shot in 1899 but he was already married and had a wife & children. Alettie - you are sadly looking for a needle in a haystack. Thank you so much - I did not have the Marriage Certificate. I appreciate it. I do have Baptism Records of 3 of his Children, all Baptised in Krugersdorp. 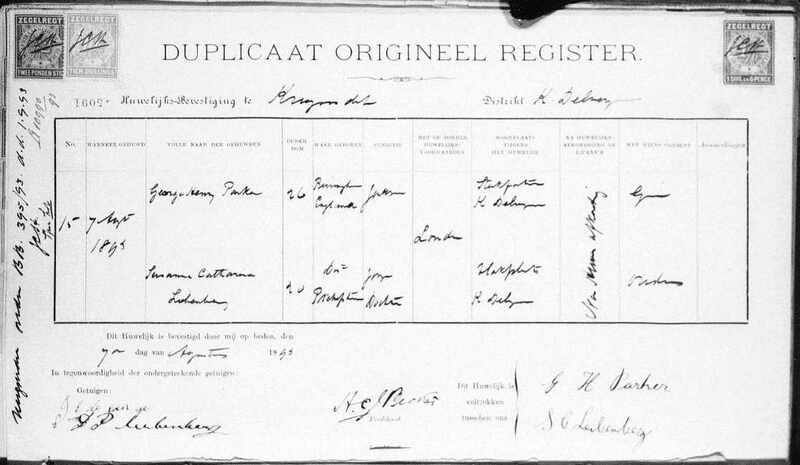 All of the Baptism Records states his name and that of Susanna Catherine (Katrina) Liebenberg. He worked on the Sterkfontein mines as a Lime Burner. Maybe he came here looking for better fortunes After his death, his wife got married to a Bredenhann and they remained in the area until the time of her death. I have the death certificates for both himself and his wife also. I will also check the passenger records for that period.